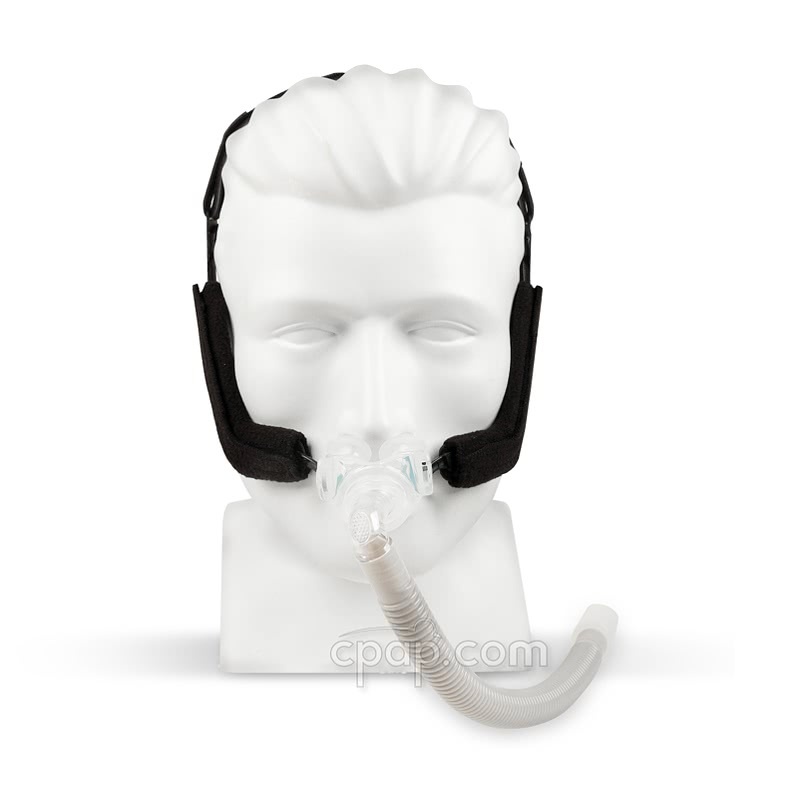 " This mask and headgear is the most comfortable I have used in the ten years plus I have used a CPAP. " 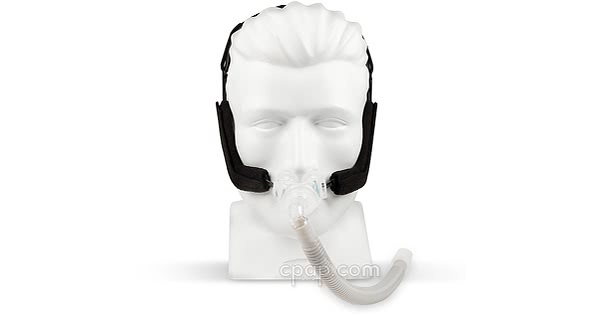 " I have tried a couple of other nasal type masks this one is the best so far and if it continues to work like this I will not be trying any more "
The Aloha Nasal Pillow CPAP Mask with Headgear offers the CPAP user adjustment and control to improve the seal that is unlike any other system. 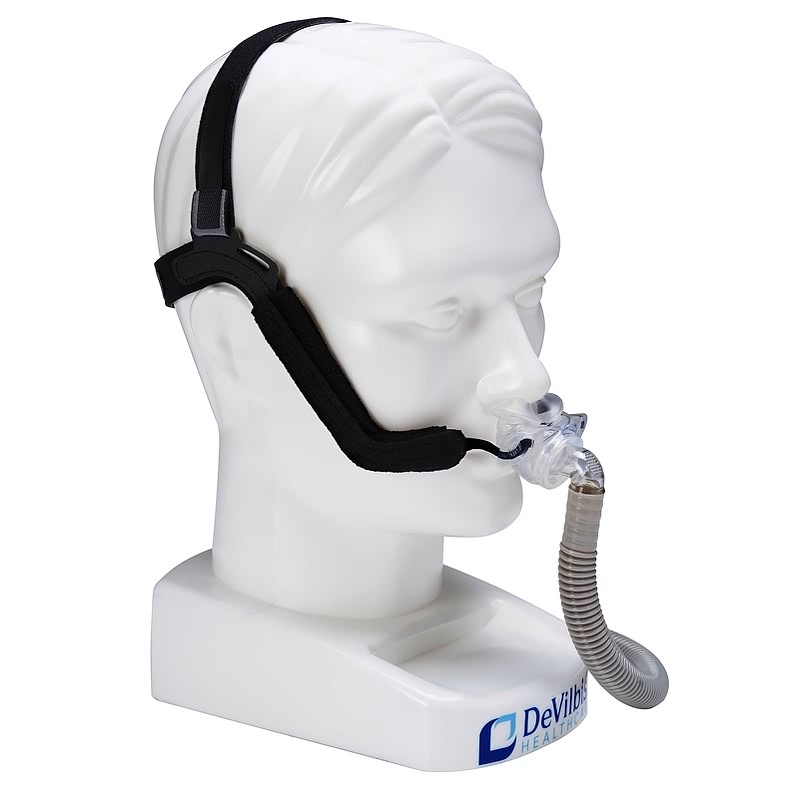 The depth and angle of the nasal pillows can be altered to offer the best fit and comfort for the individual while the swivel at the hose connection offers flexibility for active sleepers. The Aloha is lightweight and quiet while still being stable and comfortable to use. The ball-and-swivel joint of the Aloha offers the freedom of movement during sleep. By reducing potential tugging on the mask at the hose connection active sleepers find less disruption in seal. The swivel allows the hose to be routed up over the head or down across the chest. 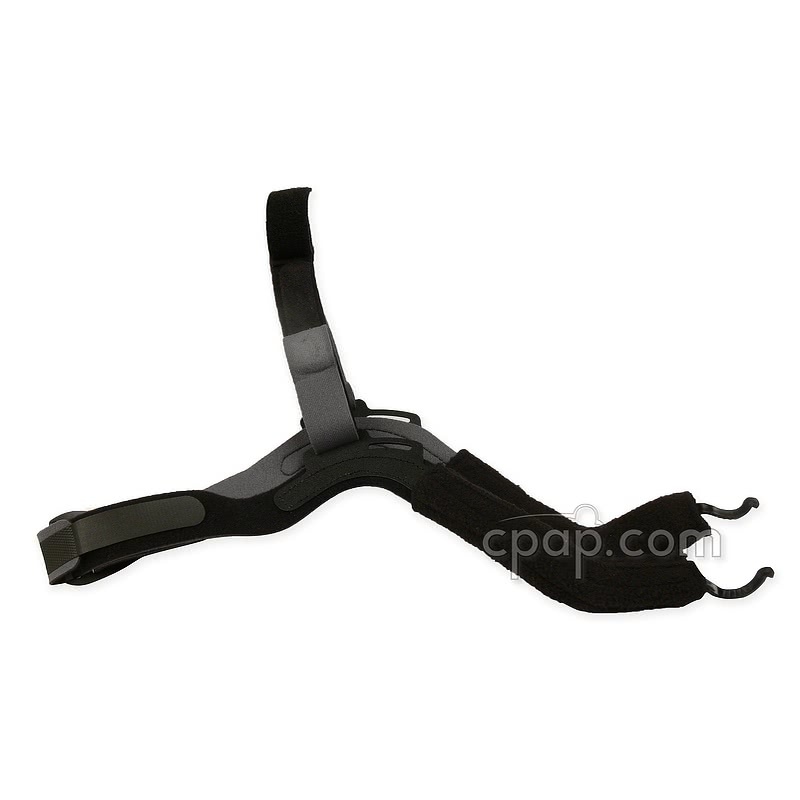 The exclusive Arched-Track Technology allows the CPAP user the control to adjust the depth and angle of the nasal pillows. Each user can find their best level of comfort and seal while reducing potential discomfort caused by nasal pillows pressure. The angle of the exhalation ports means less possible disruption for bed partners and users. The design of the pillow and ports make for quiet operation of the Aloha. This headgear is both lightweight and stable made of soft, breathable material. The design allows for minimal contact on the face and a clear line of sight allowing the user to read or watch TV. 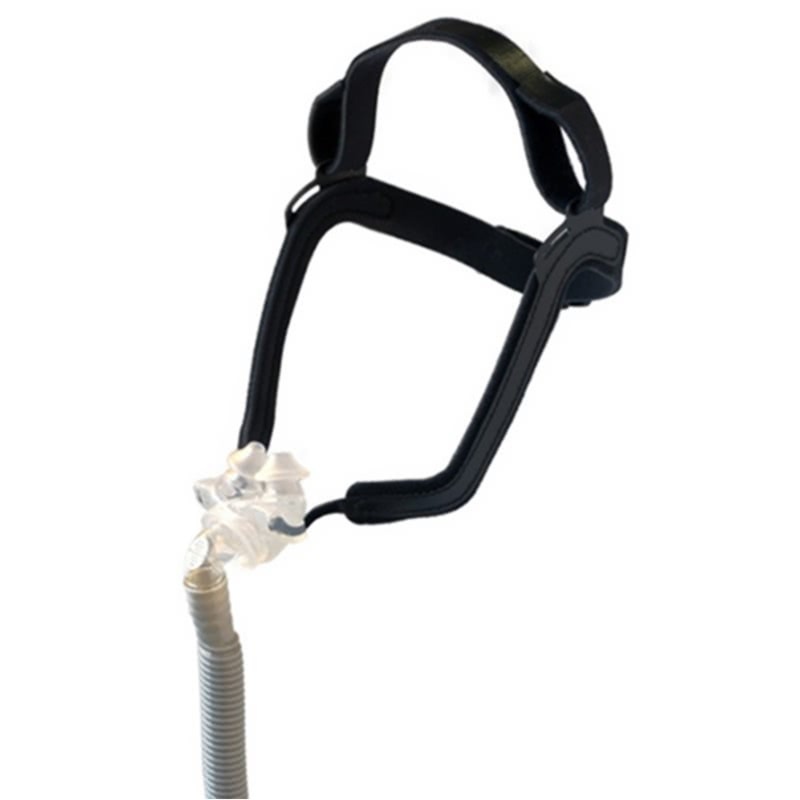 Included with the Aloha is a Tube Retainer allowing the hose to be worn over the top of the head. 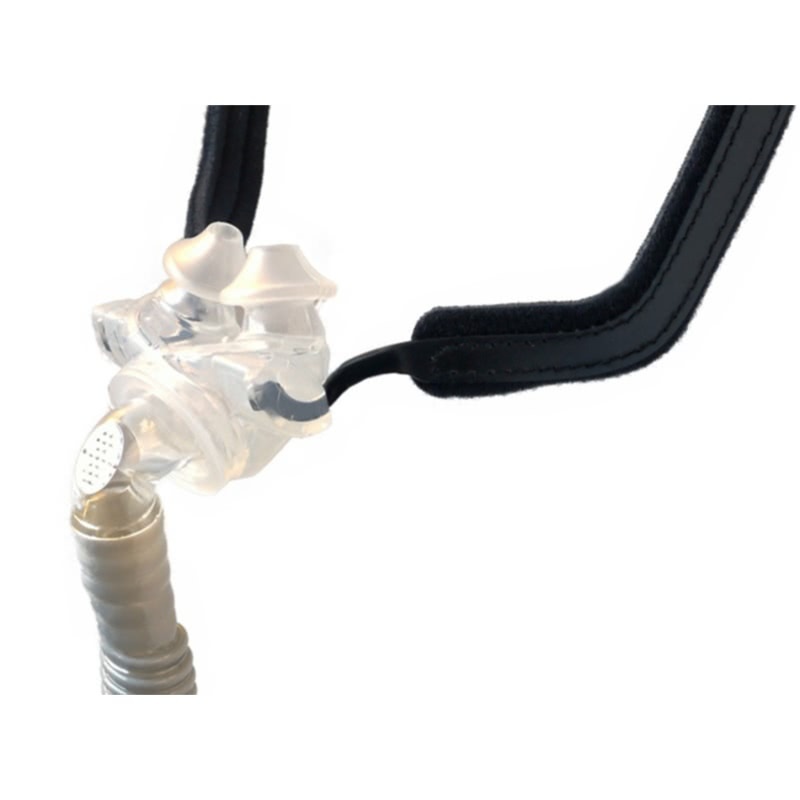 The ball-and-swivel joint on accommodates each nasal pillow, regardless of size. 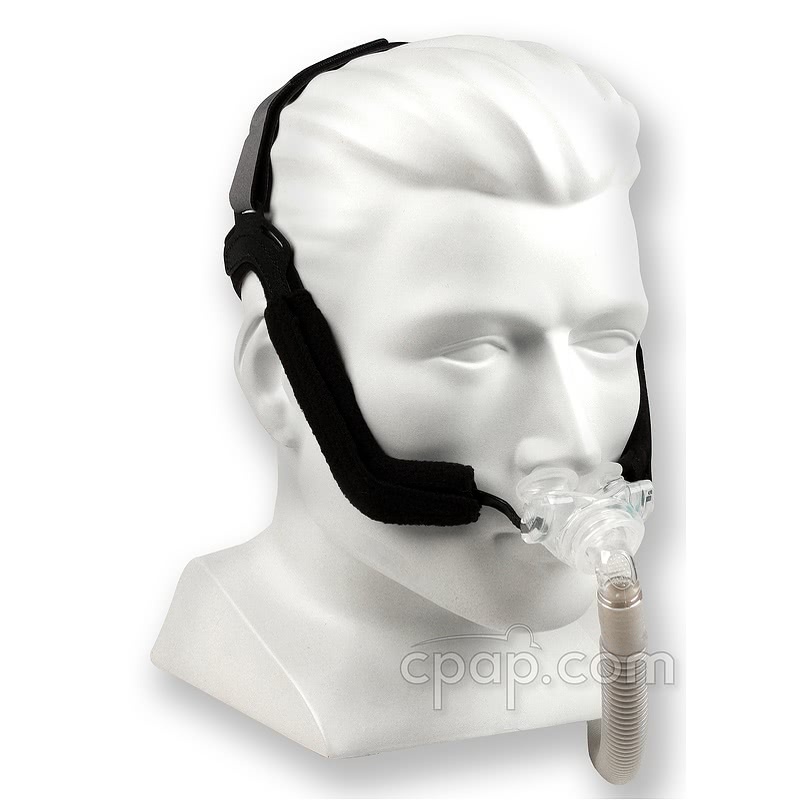 To find the size of the nasal pillow, turn the mask toward the user. 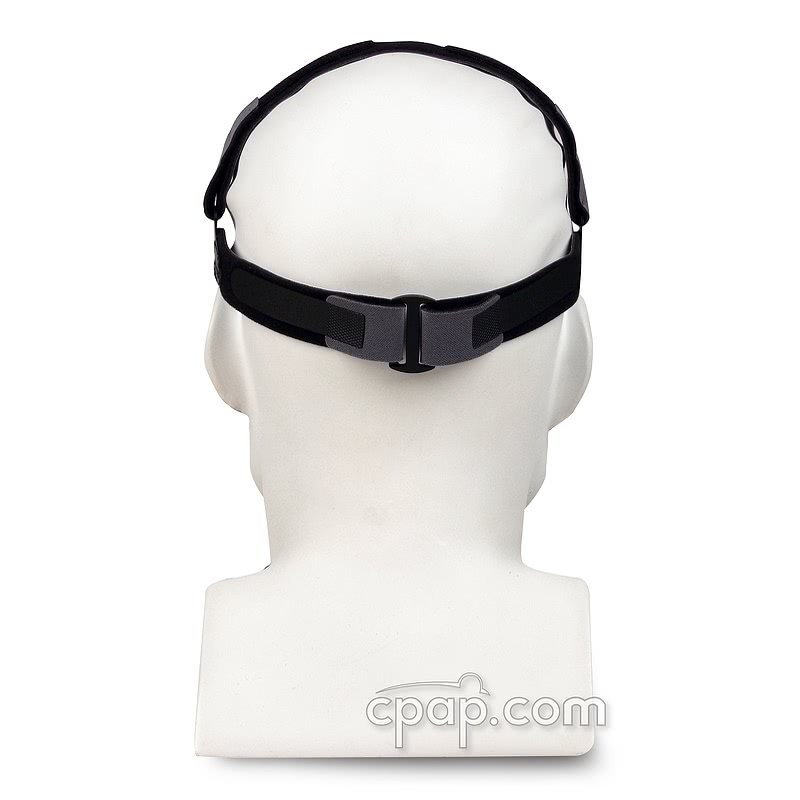 With the swivel facing forward, locate the black hooks connecting to the nasal pillow from the headgear. The silicone protecting the hook to the right of the swivel has letters embossed into the material to indicate the size of the nasal pillows. 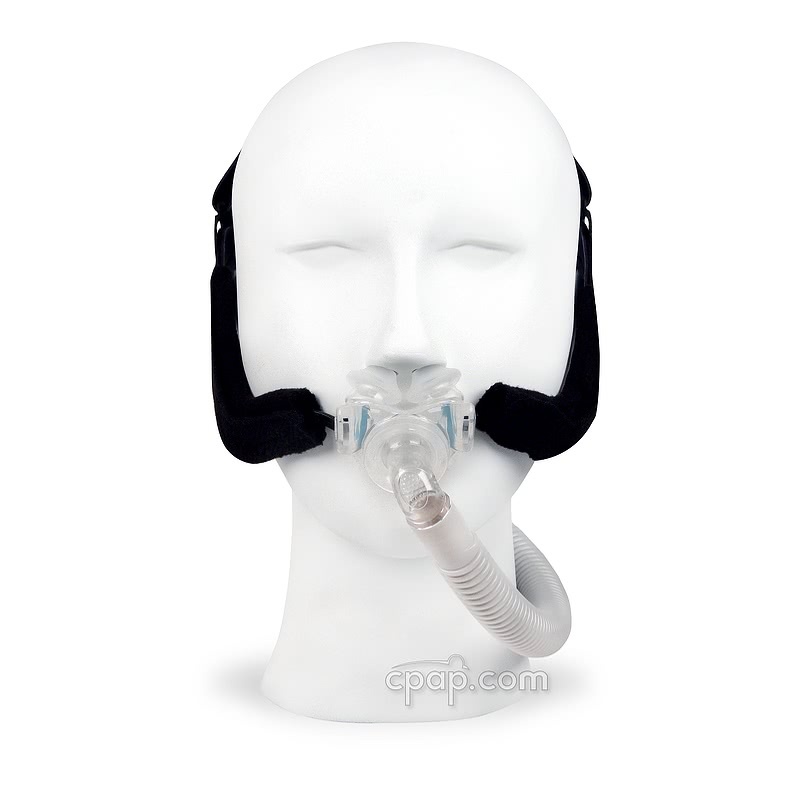 SnuggleCover for Short Tubes: The SnuggleHose Cover for Short Mask Tubes will fit the short tube of the Aloha Nasal Pillow CPAP Mask with Headgear.